I just finished assembling my new commute bike and I can't wait to log some saddle time on this baby. As shown it weighs in at just over 22 lbs with dual disc brakes and mostly MTB drivetrain including XTR shifters and rear derailleur, XT 12-32 cassette and dual-pull front derailleur, and Shimano R600 compact cranks with Race Face 36/46 chain rings. 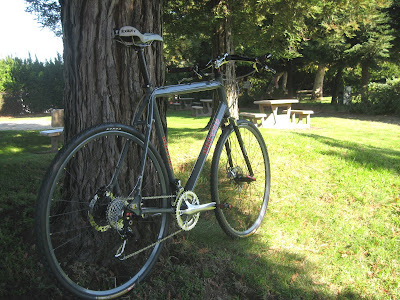 The front end geometry is setup around a Wound Up CX disc fork and tallish head tube for a more upright body position. The bars are the FSA Metropolis model; basically a modern mustache bar with 31.8mm center diameter. They are flipped over to hit my hands in just the right spot. 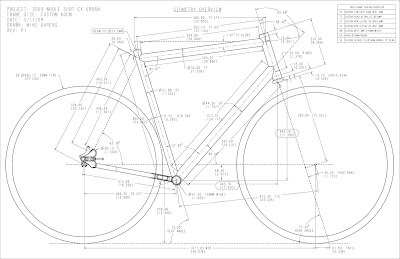 Frame geometry is derived from the standard Whole Shot 'cross lineup which has been evolving over the past few years. 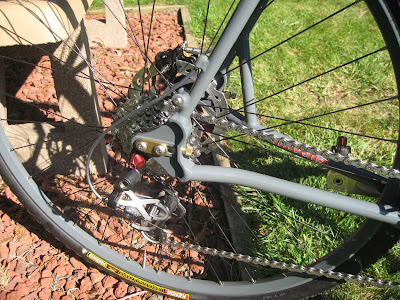 The left side/ISO disc dropout is triangulated with a support tube welded between the seatstays and chainstays. 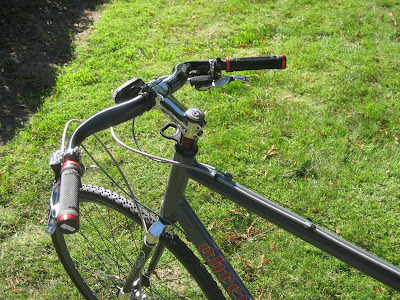 Sliding dropouts are used for extra flexibility in case I want to convert this bike to one speed. 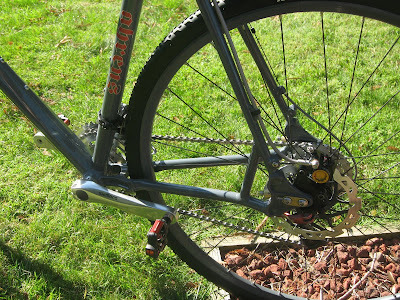 The front/rear brakes are Hope Mono Minis with Scrub metal matrix rotors. Special thanks to Paragon for supplying the brass 'jam nuts' used on the sliding dropouts...way better than the standard ones I've been using. Kenda Kommando cross tires mated to Velocity VXC rims (painted to match the frame) and Sun Flea disc hubs round out the whole package.